Dress up the Valve Stem Caps on your Camaro with Chrome plated ZL1 caps. 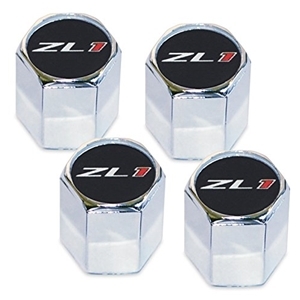 These precision engineered caps with the ZL1 logo will insure style and quality to your wheels. Fitted with an O-ring, these caps retain an air tight seal. Not only are these Valve Stem Caps easy to install, but they are resistant to fading, scratching and are water proof as well. These Caps will show that you've gone the extra mile for your car.